We are the Diamond People! * We offer free express overnight shipping on all orders over $300. All other orders are charged a flat rate of $18.95 for the same express overnight shipping. Every purchase from Hayden Jewelers comes with a decorative box and optional gift wrap. It's our way of saying thank you. Best of all, it's free! Our 10-day return policy gives you plenty of time to consider your purchase. We want you to be sure of your decision. If for any reason you are not satisfied, return your item in its original condition within 10 days of the date of shipment for a refund or an exchange. Special orders, custom orders or engraved items are excluded. Want to add a personal touch to your purchase? Let us help by engraving a special message or date of your choice. Best of all, it's free! *Items over $500 qualify for a free appraisal. Our appraisals include a photograph of the item as well as a brief overview, describing characteristics such as quality and size. This appraisal can then be used to determine a replacement value for insurance purposes. Here at Hayden Jewelers, we offer free USPS express shipping with every purchase over $300.00. It's our way of showing appreciation for our customers. After all, we want to make your shopping experience as hassle free and easy as possible. For purchases under $300.00, you can select either First Class Mail for $8.99 or Express Mail for $20.00. All items listed on the website display an estimated number of days for shipping. If a ship date falls more than a day or two beyond this time reference, we will contact you immediately with a new ship-date estimate. Since we ship all orders via USPS express shipping, you can expect your purchase within 1 to 2 days from the ship date. In cases where the there is a delay, you may cancel your order by contacting customer support. For your protection as well as ours, we exercise certain precautions when shipping orders over $300.00. To help prevent fraud and to protect our customers, we only ship to the billing address listed on your credit card when orders total $300.00 or more. We do not ship to post office boxes. We require an adult signature at the delivery location. We realize that this may be an inconvenience for some of our customers and we apologize. At Hayden's, we strive to offer the lowest prices possible. By reducing credit card fraud, we are able to pass these savings on to you. Additionally, for your security, your order will not be delivered without an adult signature. If you cannot be available to sign for your package, please be sure that an adult who is authorized to sign for your package will be. Do I have Other Options? If it is imperative that your purchase be sent to a special address, we have 2 options that might make your purchase easier. Call your credit card company and have them add a new address to your card. Many credit card companies will allow you to add multiple shipping addresses to your card. Send your funds in the form of a cashiers check, money order or personal check. Once your funds have cleared our bank, we will ship your item to any address you wish. Our goal at Hayden Jewelers is to exceed your expectations. However, if you are not completely satisfied with your diamond or jewelry purchase, we will gladly refund your purchase price within 10 days. Secure your item(s) and all the original contents, including the merchandise tag (if applicable), packing slip and the diamond certificate (if applicable), in a plainly wrapped box. Send the package by Priority Registered Mail, as this is the safest way to ship high-value items. For your protection, please insure the package for the full amount of the invoice plus shipping charges. However if the value of the items being returned is over $500, we recommend sending the package via USPS as FedEx and UPS will not insure goods over $500. Clearly print your name and address on the outside of the package in the return area. Please Note: You should NOT write Hayden, Jewelers, jewelry, diamonds or other luxury-related words anywhere on the package, as this invites possible theft of the package. Hayden Jewelers is not responsible for any diamond or jewelry item that it does not actually receive or that is not returned in accordance with the above terms. Please contact us at 1.800.Haydens or email us if you have any questions or concerns. 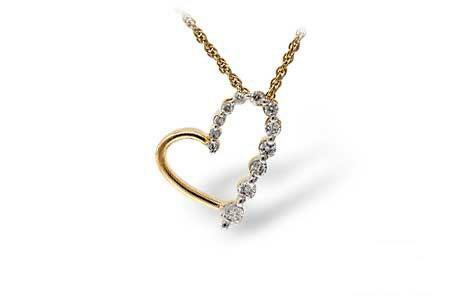 The item must be received at Hayden Jewelers within 10 days from the date of shipment of your order. Any items received after 10 days from the shipment date will not be accepted for refund. Items that have been custom made, custom ordered, resized or engraved are not eligible for return or exchange. Each item must be returned in the same condition as it was sent, unworn and undamaged. Diamonds and jewelry are visually inspected upon receipt for signs of wear prior to the issuance of any refunds, exchanges or credits. All watches returned for refund or exchange must be unblemished and must have the sales tag still attached (if applicable); otherwise the item will not be accepted for refund or exchange. Damaged goods due to client negligence will not be accepted for refund. If the item is a diamond, the original gemological laboratory certificate that was issued with the diamond needs to be returned as well. This is very important. The diamond certificate has a $250 replacement fee. If the certificate is not returned, the cost of replacing it will be charged. If the Ring you got from Hayden Jewelers does not fit you, please send it back to us within 60 days following the shipment date. We will resize it and return it free of charge within 10-14 business days. The customer is responsible for shipping charges except if the resizing is a result of our error. Please Note: Some rings, because of their design or make, can not be resized without damaging the ring. Please contact us at 1.800.Haydens or email us to find out if your ring can be resized. Custom or special orders, personalized and engraved items cannot be refunded unless there is an error on behalf of Hayden Jewelers. Hayden Jewelers will refund the full cost of a returned item excluding shipping and insurance charges. Hayden Jewelers will refund shipping costs only if the return is a result of our error. Refunds will be made in the same form as the original purchase. All requests will be processed after one of our on-site gemologists inspect and verify the condition of the item. Returns take approximately five business days to process upon receipt of the item. You will receive an email once your return has been completed. Again, please return every item within 10 days of the shipment date with all of its original materials. If you have any questions, please feel free to contact us. © Hayden Jewelers - We are the Diamond People!